Guards who left Milwaukee prisoner to die of dehydration in cell could face charges. 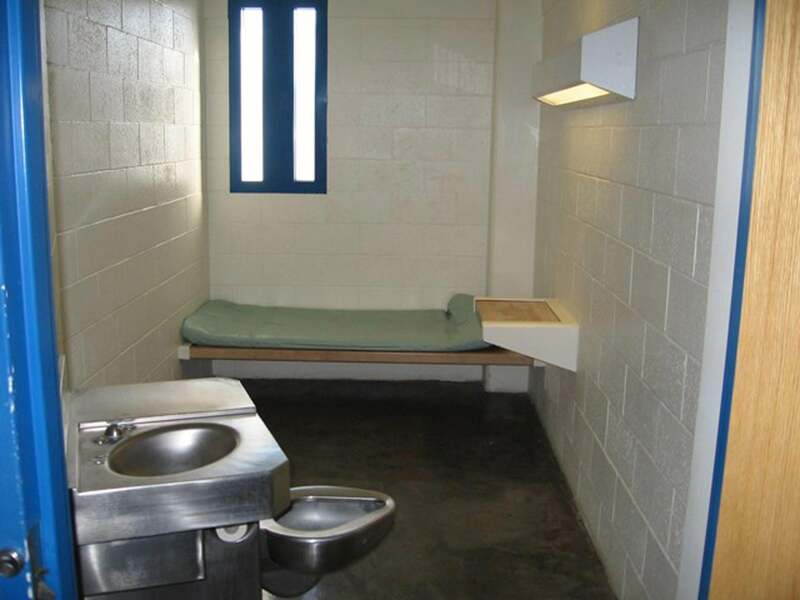 A cell at Clark County Detention in Las Vegas. Prosecutors on Monday laid out details of the desperate final week of life for Terrill Thomas, an inmate at a Milwaukee County jail, who last April died of dehydration in solitary confinement a week after prison officials turned off the water to his cell. Country prosecutors are now looking into whether the prison guards committed a crime in the death of the 38-year-old Thomas; the preliminary hearing into the guards’ conduct began Monday. There were at least 20 guards on the solitary confinement wing over the course of the week Thomas was held there; it’s unclear how many knew Thomas’ water had been shut off and to what extent they knew of his mental illness. The administration of the jail falls under the purview of Milwaukee County Sheriff David Clarke, a high-profile supporter of Donald Trump’s campaign, whose cowboy hat and tough-on-crime bravado made him popular ally for Trump’s “American carnage” claims and elevated the sheriff to such an extent that he was under consideration, at one point, to lead the Department of Homeland Security.